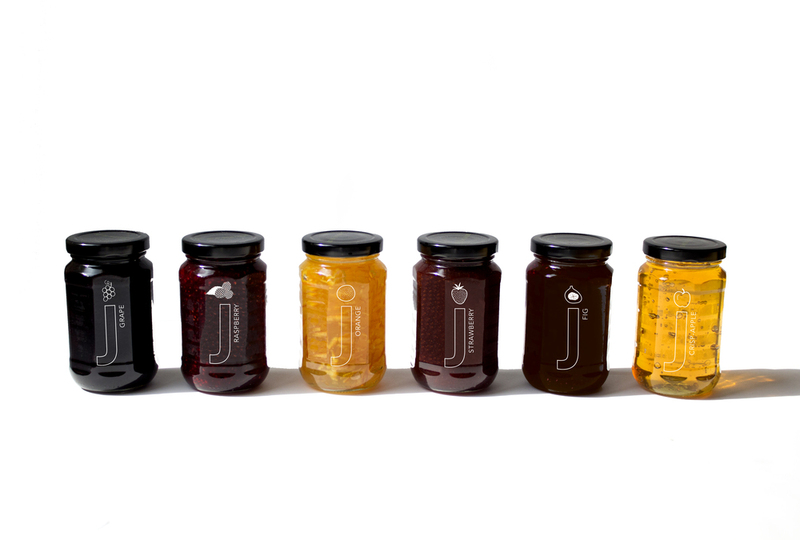 A fresh take on packaging in fruit preserves, Just Jam incorporates the perfect mix of clean lines and hand drawn elements. Each flavor is apparent in the dot of the letter "J," leaving little need for text. This is a faux project done for fun!